After a busy month of working with puppets in theatre I'm excited to be starting work on a new puppet animation. To get some inspiration I've been watching a whole bunch of Jiří Trnka shorts as part of his retrospective at Watershed in Bristol. Tonight I saw his adaptation of Shakespeare's A Midsummer Night's Dream which I'd never seen before. 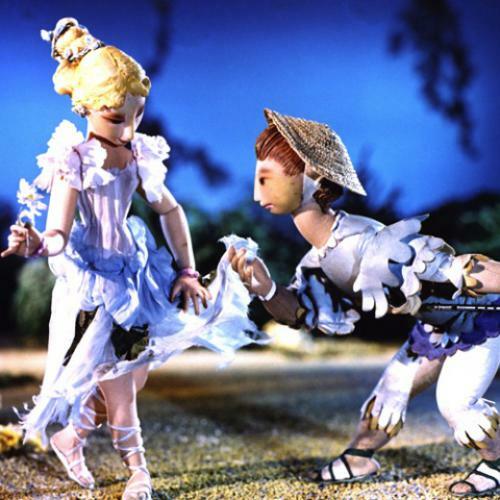 It was gorgeous, delicate, colourful and the puppets both intricate and articulate. The world and the characters are artfully brought to life and the whole film has a really magical aesthetic. It was wonderful to see the film on the big screen and Watershed should be commended for programming the season and screening these rarely shared gems. As part of the Trnka season I'll be doing a workshop in making simple paper animation puppets for children on 21st April. More details here.